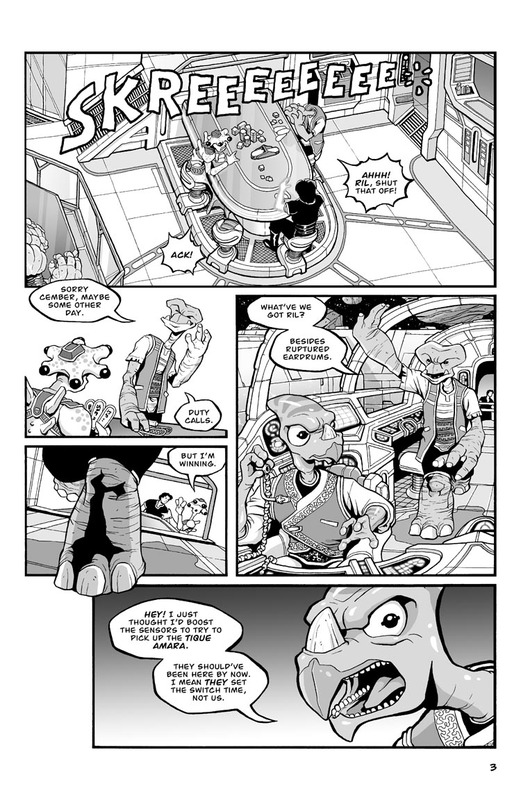 In the original printing of this issue, I goofed in panel 4 and didn’t draw the rest of the ship (the living quarters of the ship), which would be visible behind Roka through the cockpit glass. It was just empty space and looked really weird… to me anyway; I’m sure no one else had any sense of the ship’s layout 3 pages into the first issue. I added the missing ship portions into the background for the remastered Free Comic Book Day version. Crisis averted! I love that you keep the ship’s design in mind as creating, I need to start doing that.